A man accused of brutally beating a woman during a robbery in Tempe has been arrested, police announced Friday. Investigators said James Alexander Pryor, Jr., 24, dragged and punched the woman repeatedly before running off with her purse outside the Crackers and Co. near Priest Drive and Elliot Road last Saturday. 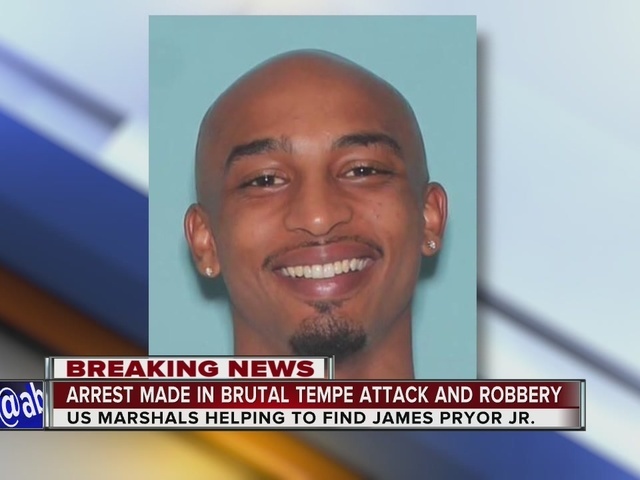 Tempe police were able to arrest Pryor Friday afternoon with the help of the U.S. Marshals Violent Offender Task Force. Police said they found evidence related to the crime inside Pryor’s home. They also found marijuana and drug paraphernalia, officials said. He is now facing robbery and drug charges.